Embrace the concept that a Windows 8 Library is more like a mini-app than an old-fashioned folder. Begin by just going with the flow, let Word save files to the Documents library, allow photos and images to save in the Pictures folder / library. Later, take the time to re-configure an existing library’s properties and even create new libraries. A more intelligent version of XP’s ‘My Documents’. A clever filing cabinet with draws for Music, Pictures, Videos and of course, Documents. A location where ‘Search’ is always fast and ‘Indexing’ actually works. A sub-set of Windows Explorer, where the folders have the special ability to display files from up to 50 sources. Trust me; if you let them, libraries will be your reliable friends, but shun them and they will become tiresome by snatching files that you save, and mysteriously putting them where you can’t find them easily. When you open the Windows Explorer it defaults to the Libraries – another reason to go with flow. Incidentally there is also a handy shortcut on the taskbar. 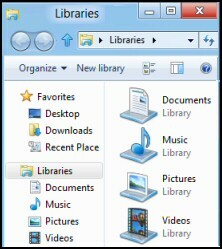 Users can organize their data by adding collections of files, that may even span multiple computers, to one central Library. Actually, the files don’t move, the Library acts as a portal, front-end or index page for your files. XP and Vista users may already be familiar with a more primitive concept of redirecting the My Documents folder, here in Windows 8 they can extend this capability to include multiple locations in their library, both on local and remote computers. The result is that Windows 8 displays all your pictures no matter where the underlying files are stored. Furthermore, what you learn with the (My) Documents and Picture folders, they can extend to the other two default libraries, Music and Videos. Also, it’s typical of Microsoft that you can create your own library, just right-click in the libraries folder, and find the ‘New’ link. Windows 8 provides an intelligent connection between Apps that you install, and the corresponding Library folder. For example, graphics packages will link, and interact with the ‘Pictures’ folder / library. The benefit is that it’s easier to open and save pictures from multiple locations. On XP or Vista the same graphics application would install itself, then create its own custom folder where it saved picture files. The result was confusion caused by pictures stored in at multiple locations. How could Search possibly be more intelligent? Well the answer lies in ranking the result so that the most relevant heads the list. Search is smart because it first checks for filenames that match the query, next it uses the closeness of words in the search phrase to rank the results. Another neat feature is the way the Library technology displays a snippet of the relevant text with the keywords highlighted. 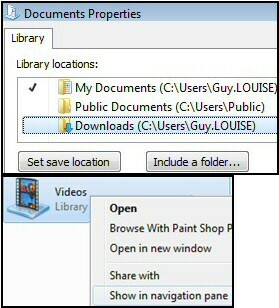 Next to the Libraries Windows Explorer provides an intuitive navigation pane. At last the term ‘Improved Usability’ walks the walk. I particularly like the File Preview and appreciate the speed of dynamic updates. Experienced operators love choices, but for novice users a bank of buttons can bewilder, and may even threaten their competence. I believe that in Windows 8 in general, and the Libraries in particular, get the balance between useful features and confusion is just right. To give a practical example, if you are searching for pictures that were added in December, then instead of having to type the date in a box, (and in the UK, worrying about the day/month/year format), all you need to do is click on calendar. Although the results appear instantly, suppose the preview doesn’t show what you want? No problem, just use the mouse to extend the search so that it includes the months of Jan/ Feb / Mar. The Windows Explorer pane instantly and automatically updates with the extra pictures. Once you start adding to the library content they can become a victim of their own success, and it’s more difficult to find what you are looking for. But there is good news; just remember that Windows 8 indexes libraries by default, thus all you have to do is enter your criteria in the Search dialog box. 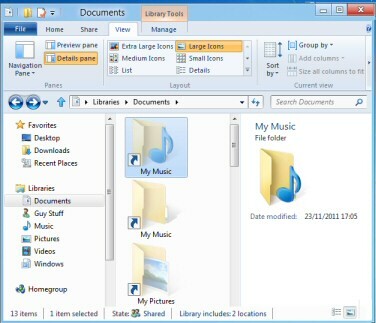 In Windows 8, it helps if you embrace the idea that the special folders called Documents, Pictures and Music could be also be called ‘Libraries’. You can even include files on other computers in your library, however it does not make sense to include the DVD drive or other removable medium. Furthermore, you could then share your library with other people in your HomeGroup. If you like this Library concept then you can develop it by creating new libraries with virtual folders, and then tick on the box which makes them available to other users in your HomeGroup. Get this right cures the annoyance of when you download a file, Windows 8 saves it to the ‘wrong’ location. 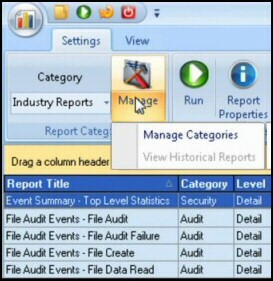 As you can see from the screenshot right, the Library Properties sheet is also where you ‘Include, a folder’. What’s not shown is the ‘Remove’ button for when you make a mistake and wish to remove from a Windows 8 library. 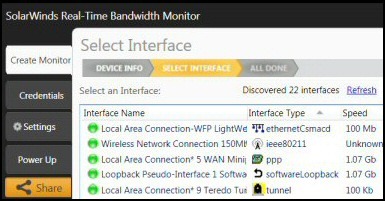 On a home network consider if you want to share any of your libraries with other users in the Homegroup. Once again, right-click the library, this time seek ‘Share with’. As libraries are just container objects, rather than the actual files it’s easy to restore a deleted Windows 8 library. The secret is to click on the Libraries (root), from there select ‘Restore default libraries’. Building a new Windows 8 library is easy; the procedures are intuitive and very Microsoft. The hardest part is planning, justifying – being sure that you have good cause to create a new library. My point is that you don’t want to waste a lot of time re-inventing the wheel, or effectively duplicating every folder on your machine as a library. 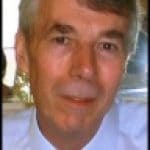 Your decision choice comes down to, could I add the prospective folder to an existing Library – say Documents, or is this a vital new project that needs to collect files from several machines and thus justifies a new library. OK, so you really need a new library. Simply right-click the root of Libraries, and select ‘New’. Once your new library arrives, right-click and configure which underling folders you should ‘Add’. If you like to give your library an distinctive symbol, click ‘Change library icon …’, see the ‘Guy Stuff’ example above right. So far I have not been able to Change library icon for the built-in libraries. One more pleasant surprise, Windows 8 tunes your library depending on what you tell it about the contents: Documents, Music, Pictures or Videos. I say again, dealing with libraries is intuitive, but before you start clicking indiscriminately ask, ‘what do I want to achieve here?’ Answers could be a collection of special documents, family photos, data files from multiple machines. In the event that anything happens to your current files you can restore them easily. Either go to the Control Panel, System folder, or else seek the 'History' icon in the library folder. See more on Windows 8 File History. Here is an old Windows Explorer trick to apply to a new situation. This tweak involves re-programming the Target of the Windows Explorer, or Libraries shortcut. Since Windows 3.1 it has been possible to customize what happens when you launch Windows Explorer. Firstly there are numerous places from which to launch the (Windows) Explorer, for our example let us focus on the Library icon in the taskbar. Once you right-click and find the Shortcut tab the trick is to edit what’s in the Target: dialog box. While you want to retain explorer.exe, the key is to append /n or /e. /e: Switches to the Windows Explorer view. /root,<object>: Specifies the root level of the specified view. The default is to use the desktop. /select,<sub object>: This is a refinement which specifies which folder is in focus or selected. A Windows 8 Library is like a folder with a 6th sense and hidden depths. Build on how you can change the one Location of My Music or My Pictures in Vista, to creating multiple Locations for your Windows 8 Music or Pictures folders. The result will be a fine collection of Windows 8 Libraries.